Directed by Jenny Lewis. Starring Fred Armisen, Zosia Mamet, Leo Fitzpatrick, Feist, and Vanessa Bayer. From the album The Voyager, produced by Ryan Adams. This is one of my favorite albums from last year. I never got into Rilo Kiley, but Lewis won me over when I saw her with the Postal Service at Lollapalooza in 2013. She’s a super charismatic performer. And her videos are full of her famous pals, which comes across as a lot more charming than you might expect. Directed by Jenny Lewis. Starring Anne Hathaway, Brie Larson, Kristen Stewart, and Tennessee Thomas. I’m just glad that not much Creed oozed into The Voyager, like it did on Adams’ own self-titled 2014 album. Yuck! I’m a Letterman guy; always have been. I would stay up super late on hot summer nights getting fat on PB&J and honing a sense of humor built on Bill Murray and David Letterman. They’re Midwestern guys like me. We’re a bit sarcastic but generally good guys with an honest (earnest?) love of good things. 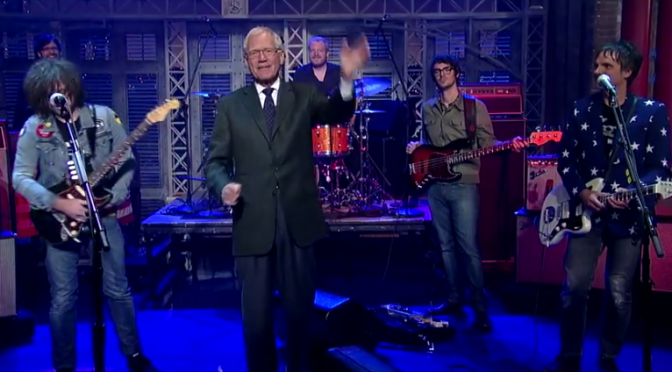 One of the reasons I love David Letterman is that he isn’t shy about getting geeky on bands he loves. 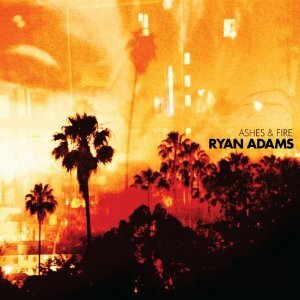 He did it hilariously with Future Islands and now gives a big gap-toothed sweet nothing to Ryan Adams. The song veers way to close to Glenn Frey for my tastes but I can’t help but fall in with Dave’s enthusiasm. Listen to his most legit metal record.